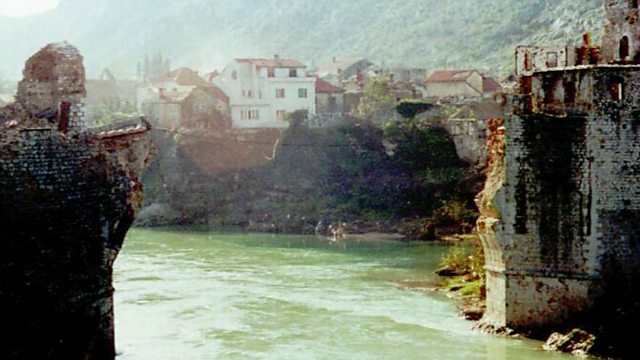 In November 1993 one of Bosnia's most famous landmarks, the old Ottoman bridge in Mostar, was destroyed in the war by Croatian guns. In November 1993, one of Bosnia's most famous landmarks, the old Ottoman bridge in Mostar, was destroyed by Croat guns in the Bosnian war. Built by the Ottomans in the 16th Century, the bridge was a symbol of Bosnia's multicultural past. We talk to Eldin Palata, who filmed the destruction of the bridge; and to local journalist Mirsad Behram about what the bridge meant to the people of Mostar.